I am personally not a huge fan of strategies that are announced with a fanfare. Rather I much prefer strategies where competitors and customers look back years later and say "we never saw that coming" or "we can't believe we ever lived without that". 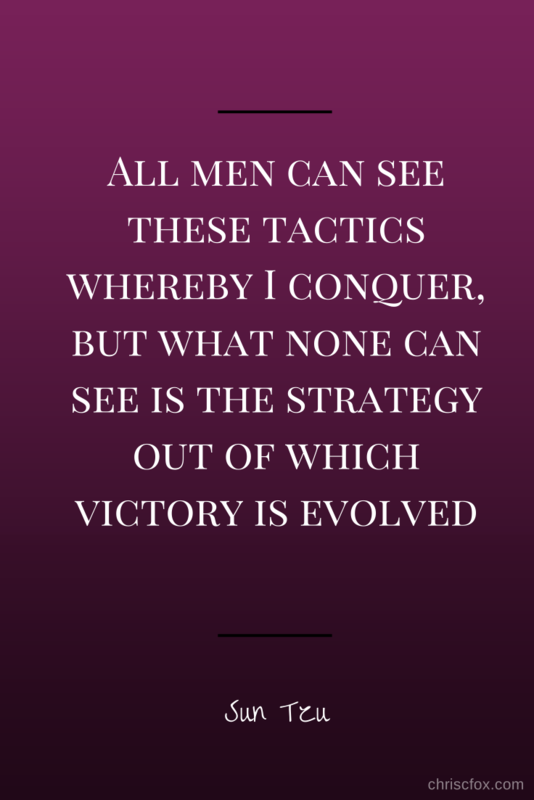 Indeed, Sun Tzu wrote that "All men can see these tactics whereby I conquer, but what none can see is the strategy out of which victory is evolved." Of course, strategies can seldom be executed without the participation of many people. And communication with those people is almost always essential to the successful execution of that strategy. But the communication should focus on the work to be done and on the success that has been achieved. It should not announce the strategy before it is executed, or its success before it is achieved. Some amount of secrecy is invariably required where strategy is concerned. However, this secrecy is often misplaced and overstated - for most businesses (but not all, of course), industrial espionage is not a real and present threat. Competitors often know quite a lot about your strategy anyway, as they hire staff away from you, to whom you have communicated it. But knowing what you've said your strategy is, and having the insight and means to execute it are two different things.